A staggering 12 percent of women in the U.S. will develop invasive breast cancer over the course of their lifetime. Sadly, death rates are higher for the disease than for any other cancer, besides lung cancer, but a new discovery could hopefully save more lives. A study from scientists at The Institute of Cancer Research in London could help identify women who are at increased risk of dying from their breast cancers based on two genes. Researchers studied almost 2,000 patients, and discovered that women whose tumors had a specific pattern of activity in a specific gene pair were three times as likely to die within 10 years. If the results are confirmed, they could help doctors assess a woman's survival chances in the clinic, and then adjust treatment accordingly. 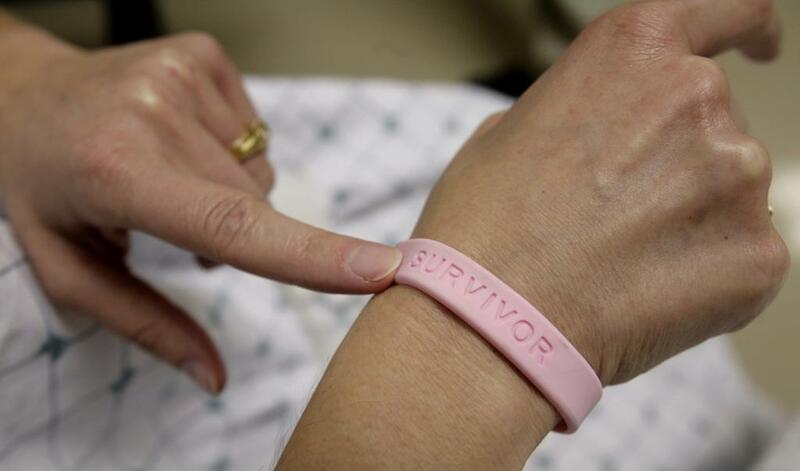 "Survival rates for breast cancer are now much higher than they were a few decades ago, but the disease remains deadly once it has spread round the body. Our study sheds light on how cancer cells unstick themselves from healthy tissue, and it could help pick out women at high risk of their cancer spreading and becoming fatal,” said study leader Dr Paul Huang, who heads the Protein Networks Team at The Institute of Cancer Research. "We have seen major strides in the treatment of breast cancer, but once it begins to spread round the body it is still often fatal. This new study helps us understand some of the processes that control how breast cancers spread, and identifies a pattern of genetic activity that could be used to pick out women particularly at risk,” said Professor Paul Workman, Chief Executive of The Institute of Cancer Research. Scientists Finally Understand How Invasive Breast Cancer Works: Is New Treatment Next?